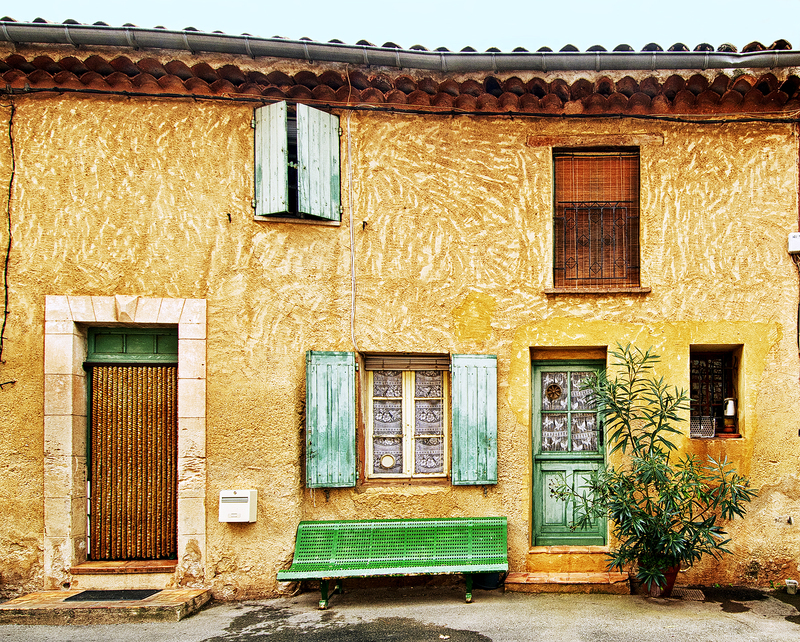 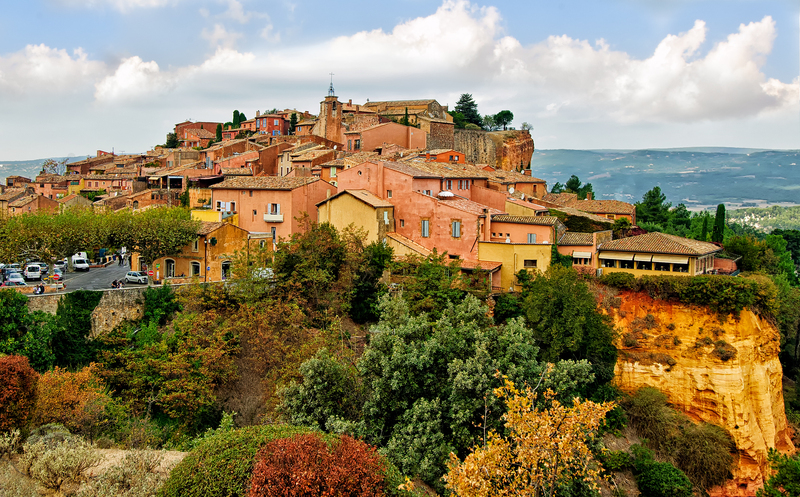 During the month my wife and I spent in Provence and the Côte d’Azur, in October of 2011, we set aside a day to visit the spectacular hill town of Roussillon. 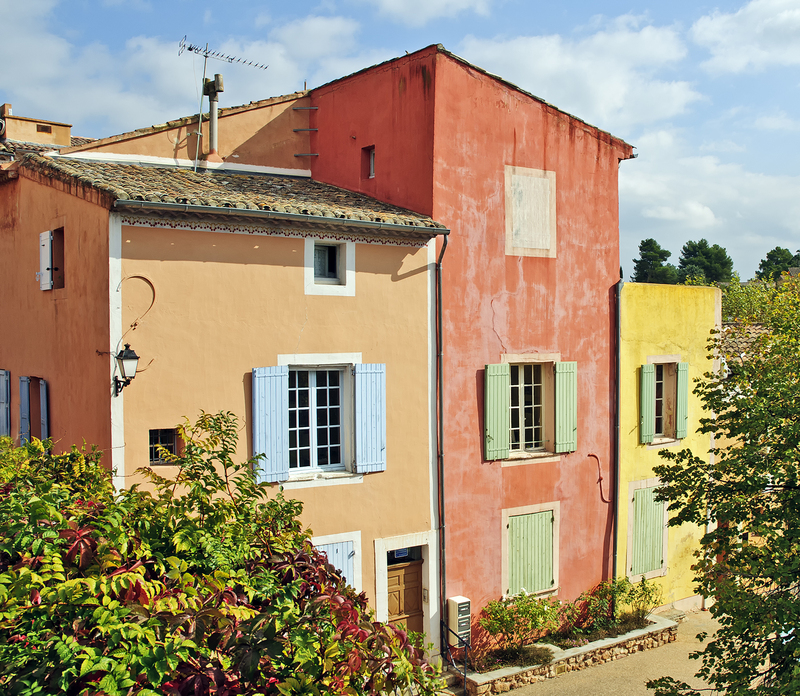 Roussillon lies in the heart of the region known as the Luberon, a large and mountainous area to the north of Aix-en-Provence which occupies a part of the department of the Vaucluse. 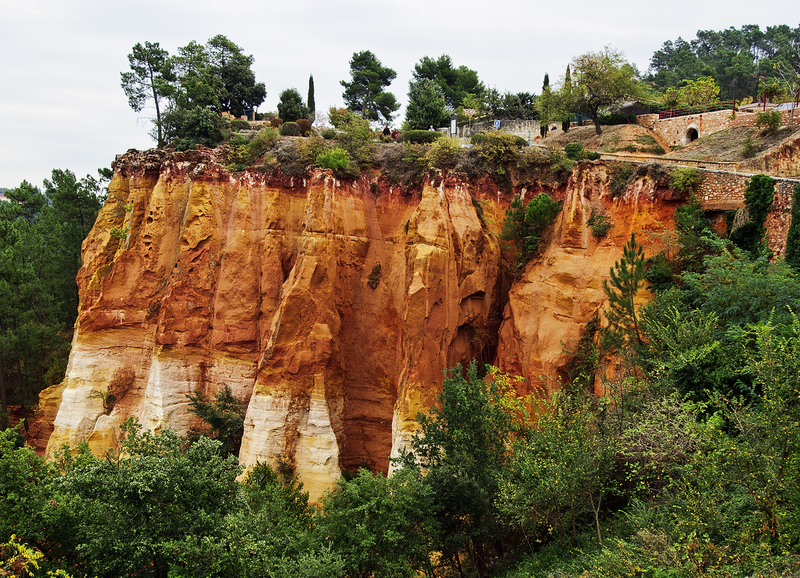 The drive to Roussillon from Aix, where we had rented an apartment, is about 40 miles but can take well over an hour even by the most direct route. 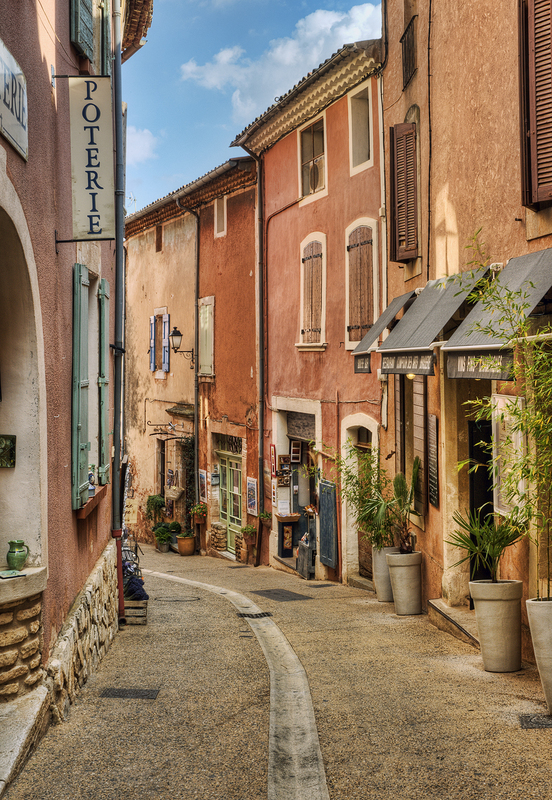 The narrow roads wind around hills and through picturesque valleys, running past or through other hill towns such as Bonnieux and Lourmarin, which are themselves eminently worthy of a stop or a day trip. 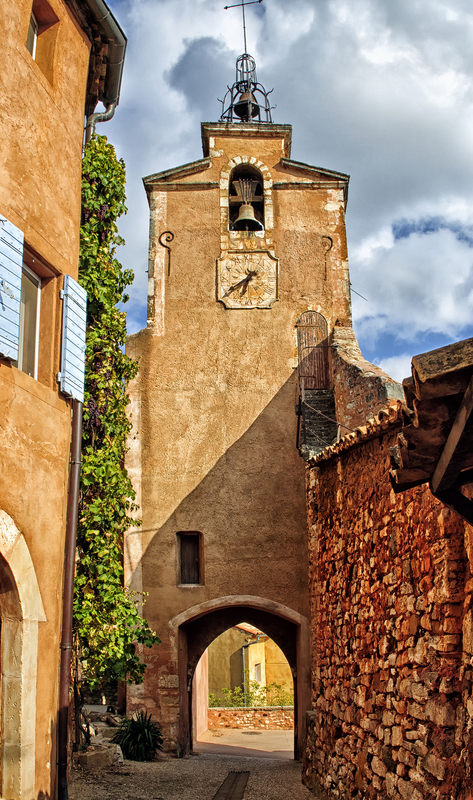 It does not take long to see why this town is included in the official list of Les Plus Beaux Villages de France (The Most Beautiful Villages of France). 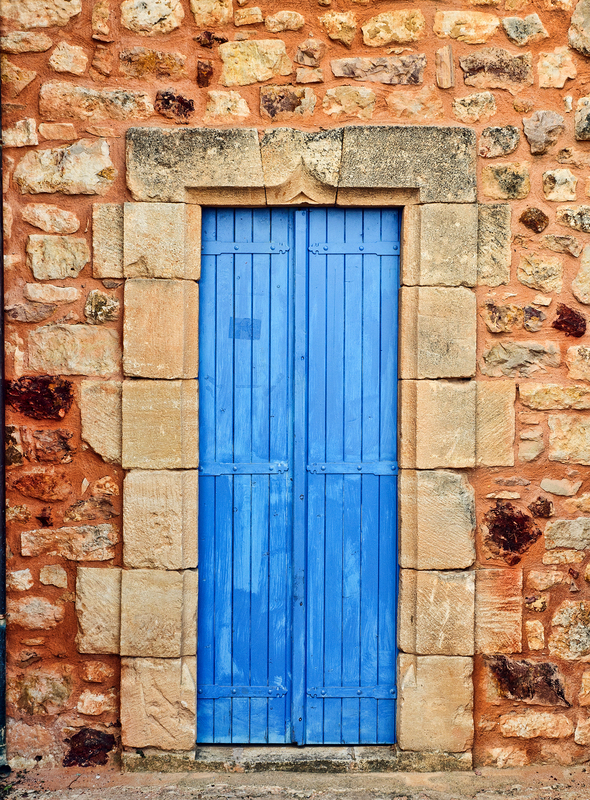 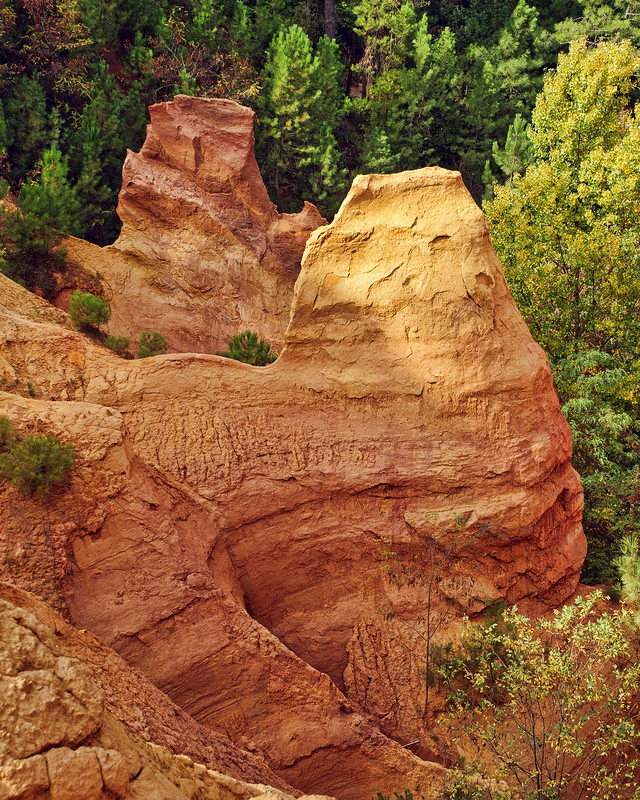 A visit to Roussillon is an unforgettable experience. 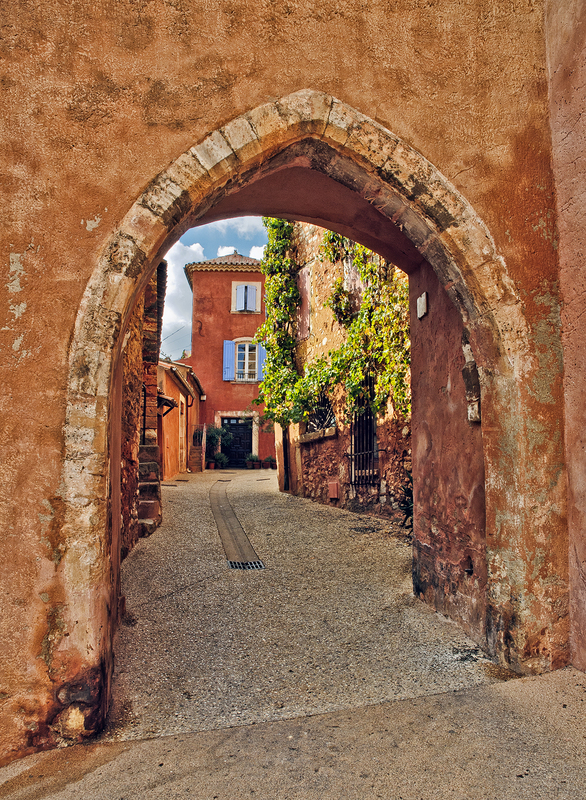 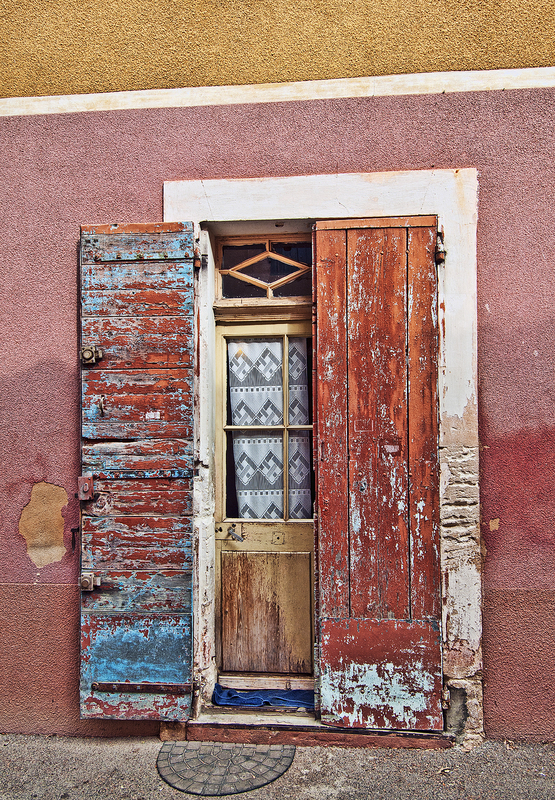 The photos shown in this article and other photos of Roussillon and of other towns and villages in Provence and the Côte d’Azur are available for viewing and purchase in full original resolution in the gallery Provence-Côte d’Azur on my photography website, Phil Haber Photography. 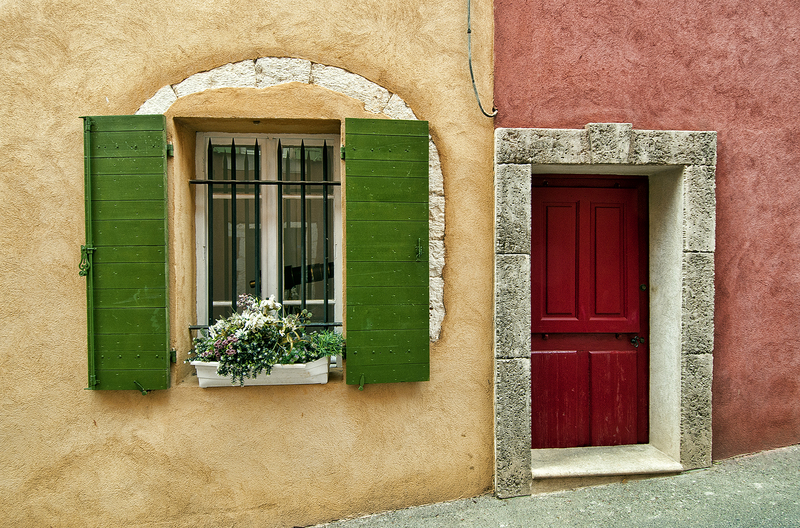 For additional information about my photography, please see my photography Facebook page.